There were literally people that said to me: “If I don’t know you please don’t connect with me”. When I was a student this just wasn’t the place for me to meet new people. But it’s completely changed now. Content changed the platform completely. People started sharing their work experiences, their stories, their victories and it became a more open platform. Granted, it still says “only connect with people you know” in the LinkedIn terms and conditions, but no one pays attention to that. You can build massive networks using content, native video, groups, and pods. When someone likes or comments on my post then their entire network of friends can see it on their feed. Within a week that post had over 27,000 views and 100 comments. That’s 100 people I could connect with. Asked for LIKES in the first few hours that the post is live. Use the wave template by Josh Fechter, you can find it here. Told my story in a personal way. So let’s say you set up some content, how do you make people see it? When you interact with people’s content they are very likely to click on your profile and read about you. LinkedIn sees their engagement with your profile and starts to display your posts on their feed. This is especially effective on LinkedIn because most posts get 1-4 comments each, and if your comment is one of them it is very visible to the hundreds of people that see that post. Now you can click on every single person that interacts back with you and connect with them. Wait, but how do I connect with absolute strangers? It still seems a bit funny right? We are all so used to only connect with people we know. Let’s take somebody who is a 2nd connection. 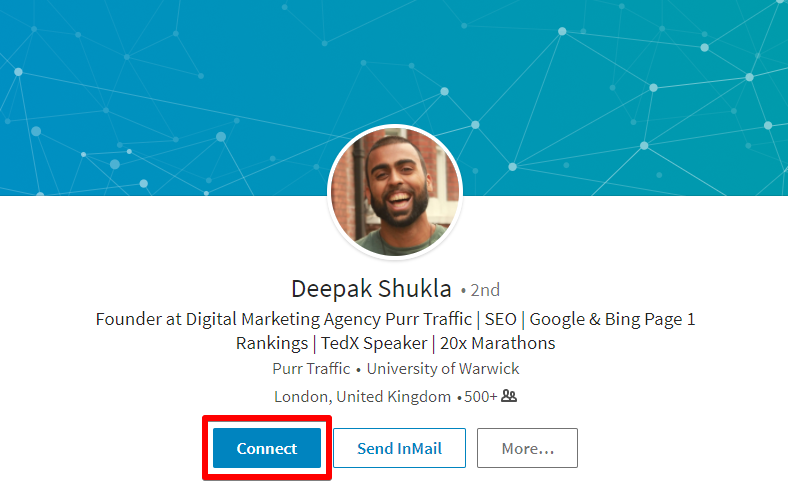 Here is my friend Deepak Shukla, the CEO of PurrTraffic, he is a really great marketing professional, his profile looks interesting, so I want to connect with him. Just click on the connect button and you’re done. Now what about 3rd connections? 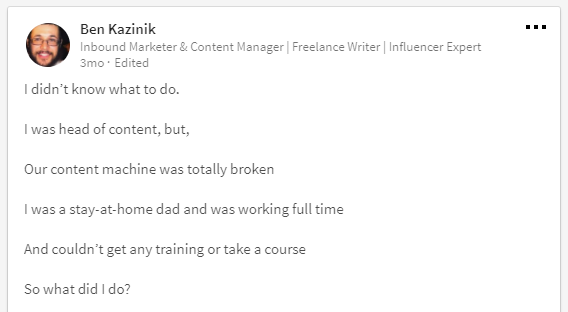 LinkedIn didn’t use to allow you to connect with them at all. So the strategy was to find mutual friends and start with them to get to your desired contact. This was made much simple now. 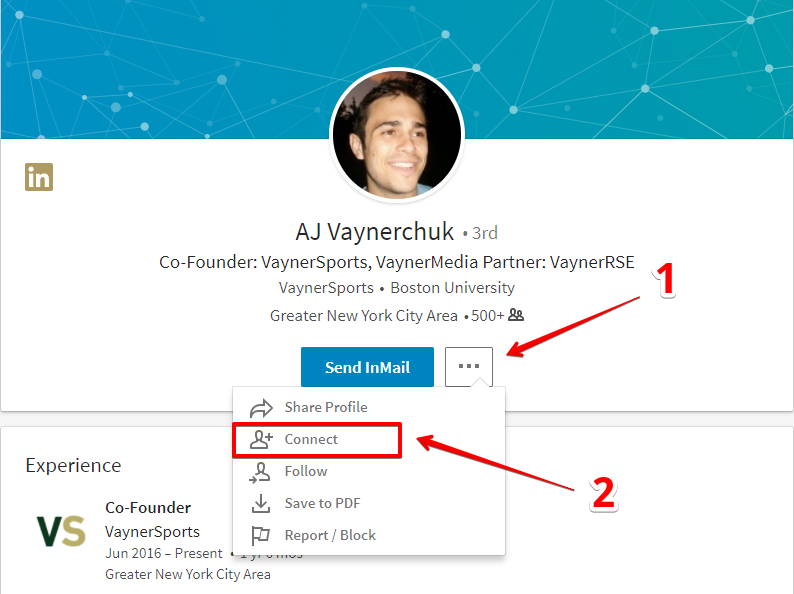 Here is Gary Vaynerchuk’s brother that runs VaynerSports. All I do is click on the 3 dots and then click connect. BOOM. Now we’re BFFs. What if you wanted to automate this whole process? What if you wanted to have a tool automatically connect to 50 profiles every day without you moving a finger? 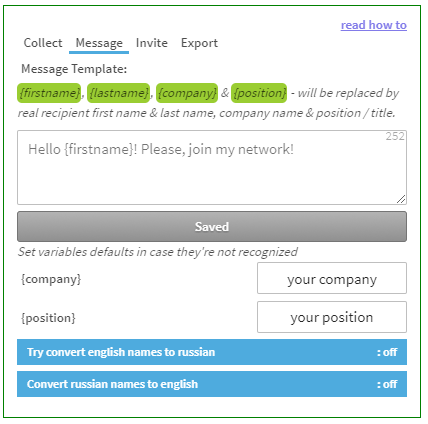 I found a great tool called LinkedHelper that does exactly that. It’s a Chrome extension that plugs in to your LinkedIn page and automatically does any task for you. 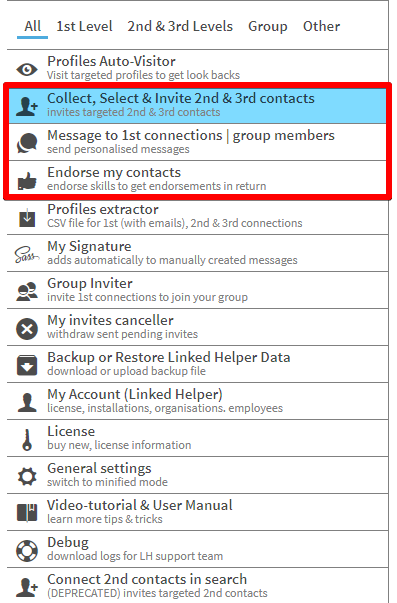 It can endorse all your contacts, connect to people, send message blasts, invite all your contacts to your LinkedIn group, and tons more. 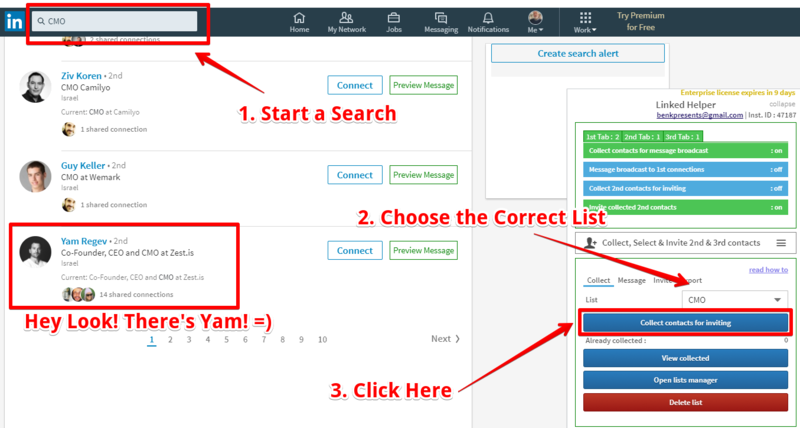 Step 1 – Search for specific people to target using keywords or the job title like “marketing manager”, “growth hacker”, “sales manager”. After you’ve collected your contacts click on Message and write a nice message for the list. This will show up on the contact request that each person will receive from you. You’re almost done. 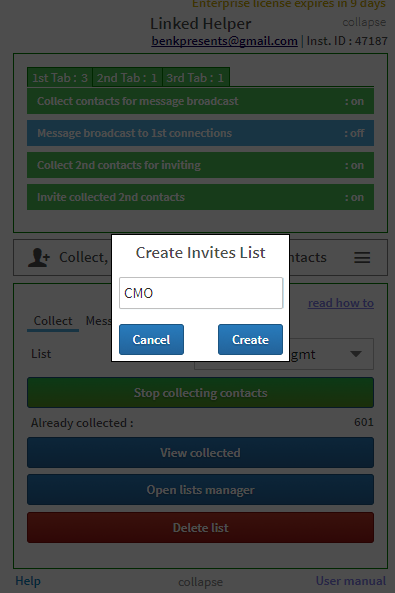 Just click on Invite and start inviting all the contacts on your list. Simple as that! LinkedIn is like Facebook but for networking. All the recent changes they implemented – like allowing people to post content and native videos – add to your ability to interact with people and to be discovered. It is also a great place to find leads, partners, and jobs. But it’s not just about building a massive network of connections anymore. It’s about building an engaged community of followers and converting your leads. The first thing you need to do for that is to write a lot of good content. Then, interact with others like crazy. And third, use a tool like LinkedHelper to put your growth on autopilot. Pro tip – always send a second and third message to your new connections, and always talk to every single person no matter what. You never know where a relationship can lead you to. 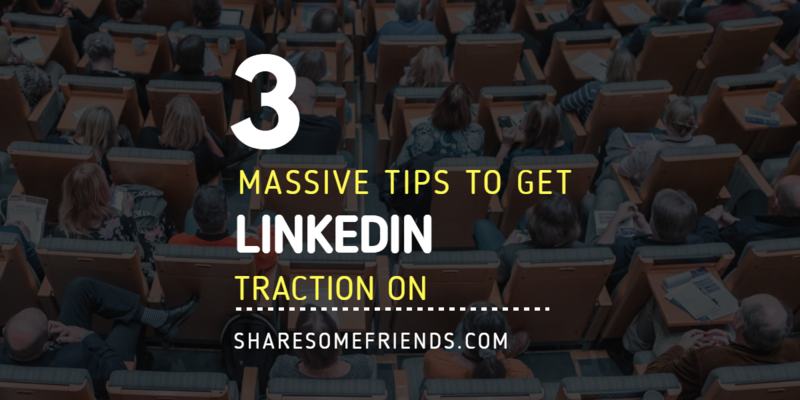 I hope you enjoyed our tutorial and please let us know how LinkedIn has worked out for you. Have you tried any of these tactics? and what’s an awesome “win” you’ve had on the platform? thanks for stopping by Deepak! just out of curiousity, how many leads have you closed from using LinkedHelper?